As the restaurant industry continues to grow, hiring and retention has become increasingly challenging. Job turn-over, which is time-consuming and costly for operators, increased by 6.5 percent in the upscale casual/fine dining segment alone from first quarter 2012 to first quarter 2013, according to People Report. To tackle this growing challenge, former IBM executive Alice Cheng launched Culinary Agents, a LinkedIn for the culinary community, in 2012. After spending years “working with, understanding and witnessing how industries were being transformed by technology” Cheng decided to apply her experience to the industry she was most passionate about, she tells me. 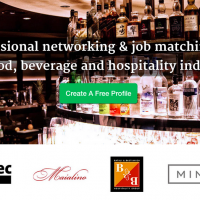 Culinary Agents offers a professional network, professional resources (its “Get Inspired” platform) and a job matching service. 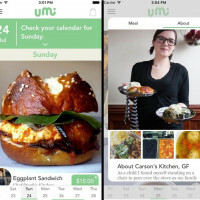 With over 11,000 members – including the restaurant groups of big name chefs and restauranteurs like Mario Batali, Danny Meyer and Thomas Keller – the website has been growing fast, and now it has some cash in the bank to scale. Two weeks ago Culinary Agents announced it has raised $500,000 in Seed funding from RRE Ventures, Correlation Ventures and a group of angels. With the new funds, it plans to focus on building out the the networking and mentorship aspects of its platform. We caught up with founder and CEO Alice Cheng via email to learn a bit more about her startup’s technology, fundraising strategy and user engagement. Our interview has been edited slightly for clarity. 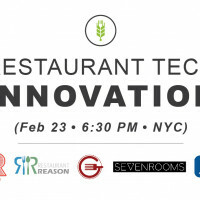 And a note to you NYC folks: you can see Cheng present Culinary Agents at our January 30th (tomorrow) Food+Tech Meetup: How New Tech is Transforming Restaurants. RSVP and check out the line up of presenters HERE. Food+Tech Connect: What is your business model? 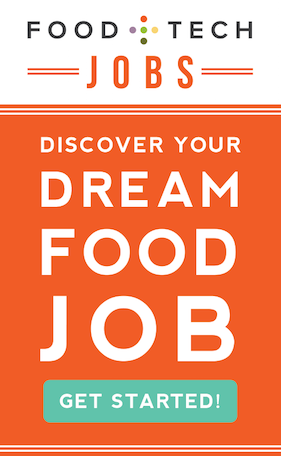 Alice Cheng: Culinary Agents is a professional networking and job matching website. Personal and business profiles are free, and we charge $35 for a single post or $100 a month for unlimited posts. FTC: How does the backend technology work, and what does user experience look like? AC: Our core product and service stems from our website. Users create a free profile (resume) that allows them to showcase their experience, education, skills and other professional accomplishments. For those looking for new opportunities, they may search for jobs, apply to jobs that they match, reach out to peers for advice or follow establishments that they hope to work for in the future. Users may claim and create business profiles (for free), post jobs and enjoy automatic matching, streamlined views of resumes, messaging and other applicant management features. Much of our features were influenced by early users and businesses, and we still strongly encourage feedback [so we can] continue to make our site even more effective for this industry. FTC: How do you differentiate yourself from others in the space like Culintro and Good Food Jobs? AC: I have tremendous respect for other entrepreneurs and companies adding value to the workers and businesses of this industry. Unlike other static job boards, we have an automatic matching process which tees up opportunities to talent and talent to businesses, along with the tools to support applicant matching, messaging and management. Our focus on building the professional network with our partnerships and inspiring industry professionals with our “Get Inspired” platform also positions us as extended recruiters for businesses. Our team has deep knowledge of the food, beverage and hospitality industry, along with strong technical design and development skills. FTC: How many people are currently using your service? AC: There are over 11,000 users on Culinary Agents with an additional 1,000+ businesses from key culinary cities across the U.S.
FTC: What was your fundraising strategy, and why do you believe it was successful? AC: My funding strategy was to secure funding as quickly as possible without disrupting the growth of the business. It was successful not only because we raised the targeted funds, but also because we highlighted the industry challenge of talent sourcing and professional networking directly to some of the top venture capital firms and private investors in New York, California and Boston. The caliber of businesses and quality of talent joining during this time made it impossible for investors to ignore. Shedding light on an industry wide challenge and securing funds to impact the change…that is the true accomplishment here. AC: I think as a technology startup you’re always fundraising. For the most recently announced seed round, the biggest challenge was educating the venture capital and investment community about the opportunity and how inefficient some of the talent sourcing processes are. Many people can relate to a dining experience but few can relate to the industry nuances around talent sourcing and why existing tools do not effectively support them. VCs and [angel] investors are not familiar with the lack of tools and inefficiencies around the talent sourcing process for the food service. It was a common surprise that inefficient classifieds listing sites were standards in many cities and also that even prominent restaurateurs faced hiring and retention challenges.To convince the investment community that there was truly a need, that the industry challenges were unique, the timing was right and Culinary Agents was best positioned to address it, that was the challenge. FTC: What do you plan to do with the funds raised? What’s next for Culinary Agents? AC: Features for talent and businesses around job matching and applicant management will continue to grow while we focus on the professional networking and mentorship aspects of our site. Introducing new ways for industry leaders to share advice and inspire others gets us really excited!